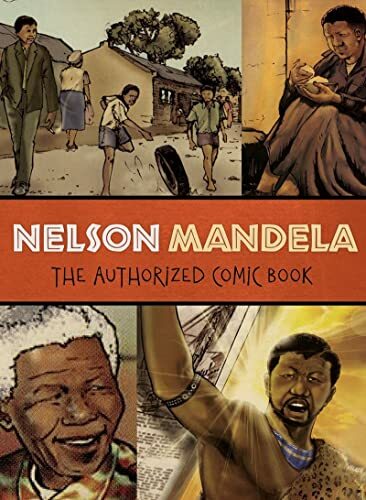 Inspirational, informative and filled with meaningful lessons on how to live in a complex world, Nelson Mandela: The Authorized Comic Book is as much for adults as it is for children. It should be required reading for any student of modern history or passionate believer in civil rights and the resilience of the human spirit. " Nelson Mandela’s memoir, Long Road to Freedom, electrified the world in 1994 with the story of a solitary man who, despite unbelievable hardships, brought down one of the most-despised regimes in the world. Fifteen years after the publication of that classic work comes this fully authorized graphic biography, which relays in picture form the life story of the world’s greatest moral and political hero—from his boyhood in a small South African village to his growing political activism with the ANC, his twenty-seven-year incarceration as prisoner 46664 on Robben Island, his dramatic release, and his triumphant years as president of South Africa. With new interviews, firsthand accounts, and archival material that has only recently been uncovered, this visually dramatic biography promises to introduce Mandela’s gripping story to a whole new generation of readers.